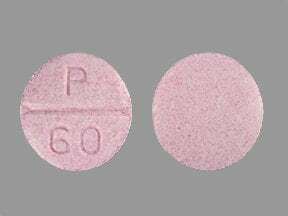 Who should not take Propranolol HCL? 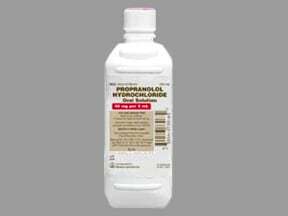 What conditions does Propranolol HCL treat? Tell your doctor right away if any of these unlikely but serious side effects occur: shortness of breath, blue fingers/toes, swelling ankles/feet, mental/mood changes (e.g., depression), numbness/tingling of arms/legs, very slow heartbeat, fainting, decreased sexual ability, unexplained/sudden weight gain, increased thirst/urination. Tell your doctor right away if any of these rare but very serious side effects occur: easy bruising/bleeding, signs of infection (e.g., fever, persistent sore throat), aching/swollen joints. 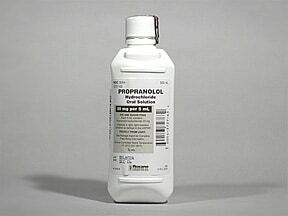 List Propranolol HCL side effects by likelihood and severity. Before using this medication, tell your doctor or pharmacist your medical history, especially of: breathing problems (e.g., asthma, bronchitis, emphysema), heart failure, certain types of heart rhythm problems (sinus bradycardia, Wolff-Parkinson-White syndrome, second- or third-degree atrioventricular block), overactive thyroid (hyperthyroidism), kidney disease, liver disease, blood circulation problems (e.g., Raynaud's disease), a certain type of tumor (pheochromocytoma), mental/mood disorders (e.g., depression), certain muscle/nerve disease (myasthenia gravis), severe allergic reactions. What should I know regarding pregnancy, nursing and administering Propranolol HCL to children or the elderly? Some products that may interact with this drug include: alpha blockers (e.g., prazosin), aluminum hydroxide, anticholinergics (e.g., atropine, scopolamine), chlorpromazine, drugs affecting liver enzymes that remove propranolol from your body (such as cimetidine, St. John's wort, certain SSRI antidepressants including fluoxetine/paroxetine/fluvoxamine, HIV protease inhibitors including ritonavir, rifamycins including rifabutin), other drugs to treat high blood pressure (e.g., clonidine, hydralazine, methyldopa, reserpine), epinephrine, fingolimod, haloperidol, other heart medications (e.g., digoxin, disopyramide, propafenone, quinidine), mefloquine, rizatriptan, theophylline, thioridazine, thyroid hormones (e.g., levothyroxine), warfarin. Does Propranolol HCL interact with other medications? Should I avoid certain foods while taking Propranolol HCL? 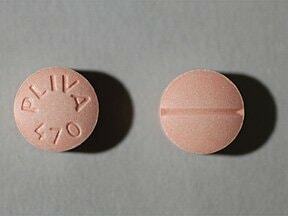 This medicine is a pink, round, scored, tablet imprinted with "PLIVA 470". 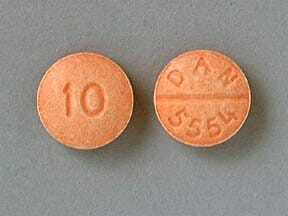 This medicine is a orange, round, scored, tablet imprinted with "DAN 5554" and "10". 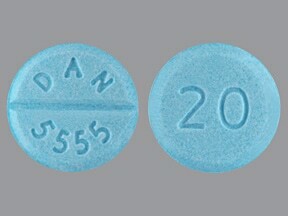 This medicine is a blue, round, scored, tablet imprinted with "DAN 5555" and "20". 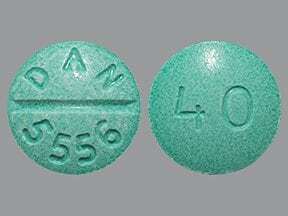 This medicine is a green, round, scored, tablet imprinted with "DAN 5556" and "40". 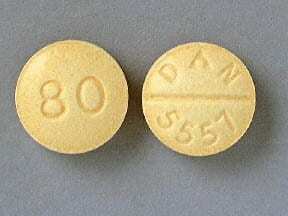 This medicine is a yellow, round, scored, tablet imprinted with "80" and "DAN 5557". 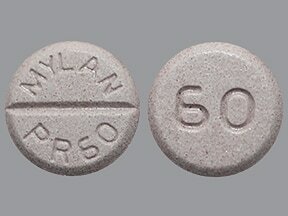 This medicine is a light purple, round, scored, tablet imprinted with "MYLAN PR60" and "60". 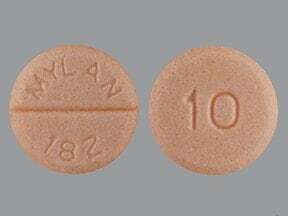 This medicine is a orange, round, scored, tablet imprinted with "MYLAN 182" and "10". 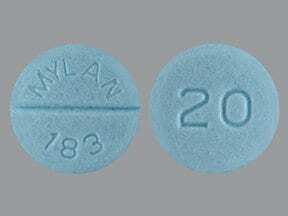 This medicine is a blue, round, scored, tablet imprinted with "MYLAN 183" and "20". 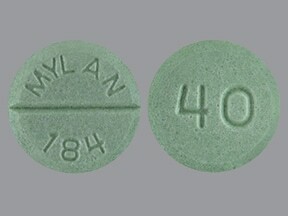 This medicine is a green, round, scored, tablet imprinted with "MYLAN 184" and "40". 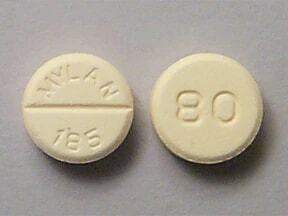 This medicine is a yellow, round, scored, tablet imprinted with "MYLAN 185" and "80". 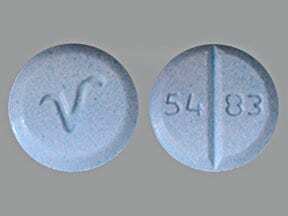 This medicine is a blue, round, scored, tablet imprinted with "V" and "54 83". 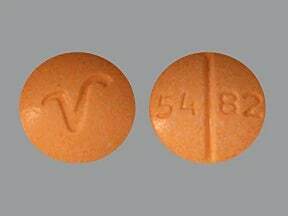 This medicine is a orange, round, scored, tablet imprinted with "V" and "54 82". 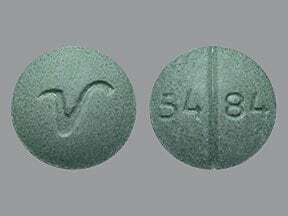 This medicine is a green, round, scored, tablet imprinted with "V" and "54 84". 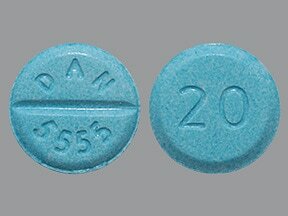 This medicine is a blue, round, scored, tablet imprinted with "20" and "DAN 5555". 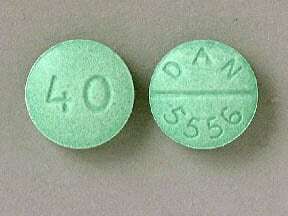 This medicine is a green, round, scored, tablet imprinted with "40" and "DAN 5556". 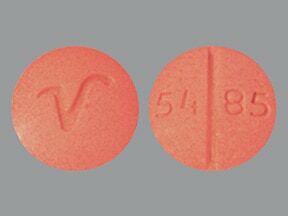 This medicine is a pink, round, scored, tablet imprinted with "V" and "54 85". 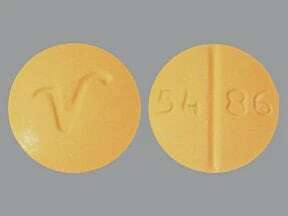 This medicine is a yellow, round, scored, tablet imprinted with "V" and "54 86". 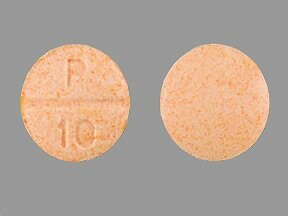 This medicine is a orange, round, scored, tablet imprinted with "P 10". 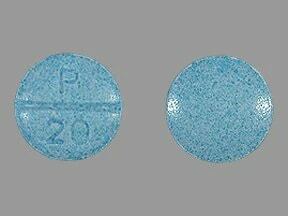 This medicine is a blue, round, scored, tablet imprinted with "P 20". 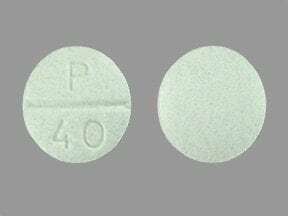 This medicine is a green, round, scored, tablet imprinted with "P 40". 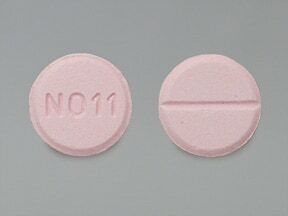 This medicine is a pink, round, scored, tablet imprinted with "N011". 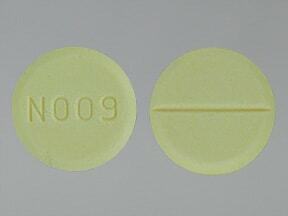 This medicine is a yellow, round, scored, tablet imprinted with "N009". 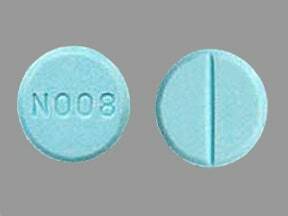 This medicine is a blue, round, scored, tablet imprinted with "N008". This medicine is a pink, round, scored, tablet imprinted with "P 60". 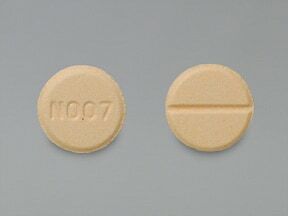 This medicine is a orange, round, scored, tablet imprinted with "N007". 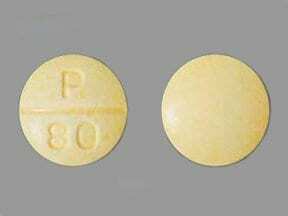 This medicine is a yellow, round, scored, tablet imprinted with "P 80". 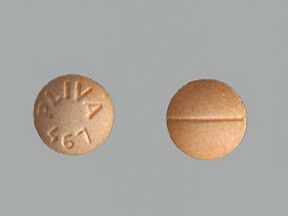 This medicine is a orange, round, scored, tablet imprinted with "PLIVA 467". 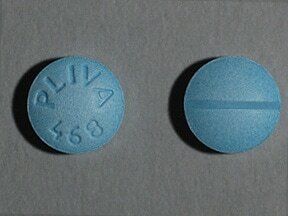 This medicine is a blue, round, scored, tablet imprinted with "PLIVA 468". 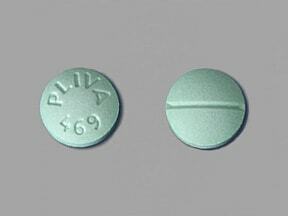 This medicine is a green, round, scored, tablet imprinted with "PLIVA 469". 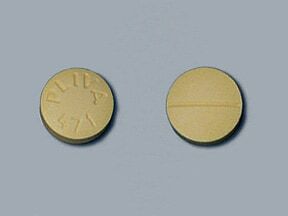 This medicine is a yellow, round, scored, tablet imprinted with "PLIVA 471". Are you taking Propranolol HCL? Are you considering switching to Propranolol HCL? How long have you been taking Propranolol HCL?